If a unique African style or country-bush wedding has always been your dream, then we await you at Out of Africa Village where sunsets explode in brilliant colour, inviting the romance of Africa, one that will be enjoyed and remembered forever by you and your friends and family. We have earned a fine reputation for beautiful and memorable weddings. The main wedding venue in Hartbeespoort comfortably seats 150 guests. 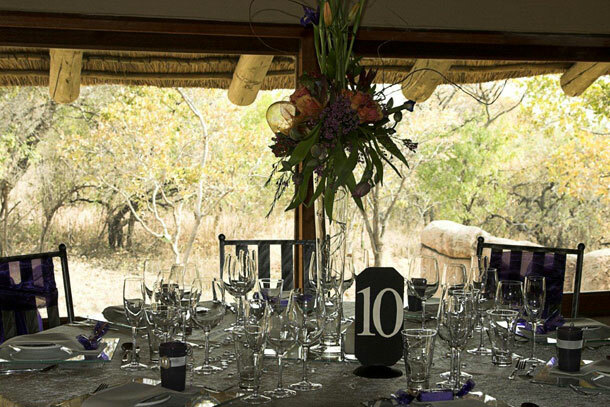 Your guests can relax with a cocktail, overlooking our beautiful African bush, while you are having photographs taken in idyllic spots on the estate. We will create a unique menu to tantalise the most discerning taste buds! With space for a dance floor, your guests can choose to dance the night away, or catch up with old friends around a big bonfire in our island Boma. 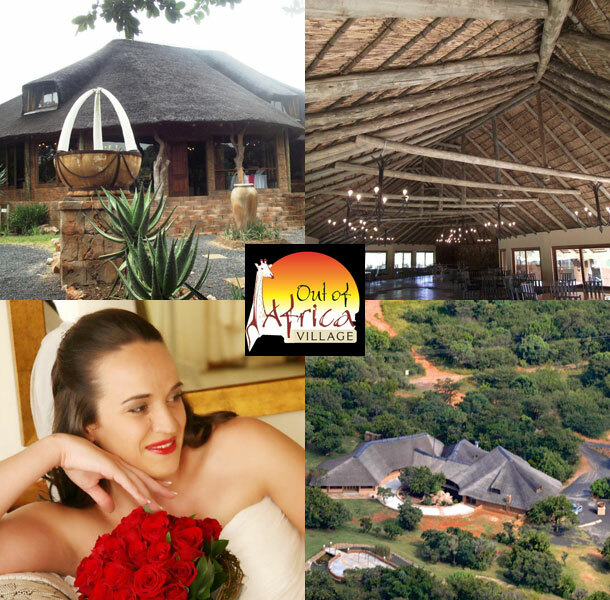 To book this venue see Out of Africa Lodge.